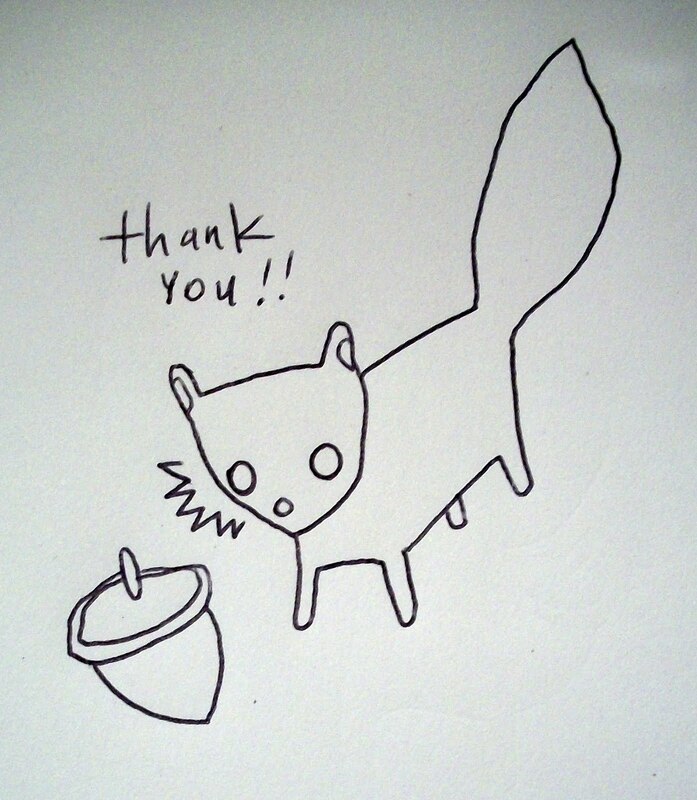 Sweet thank-you squirrel drawing by this guy. And I apologize to anyone who’s had that Vampire Weekend song stuck in their head since reading it. If it makes you feel better, I can’t get it out of mine, either. Again, thanks for stopping by! I’m having fun checking out all your blogs now. See you again soon!